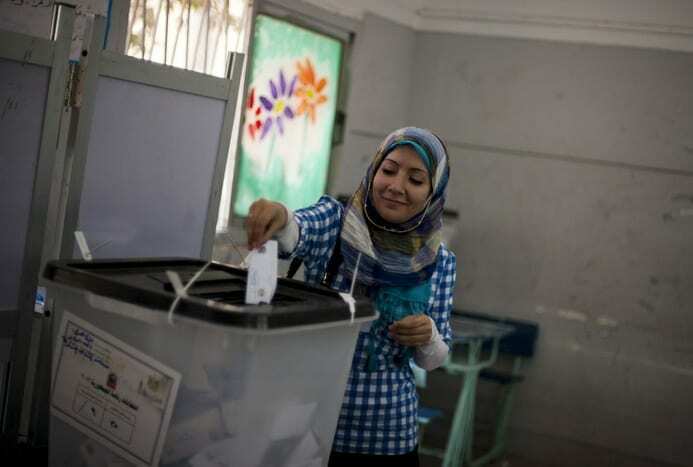 A voter dropped her ballot in the box at a polling station during the nation’s first openly contested presidential election in Cairo, Egypt. This entry was posted on June 17th 2012 at 5:28pm/17:28 and is filed under Live News Column 1, World News. You can follow any responses to this entry through the RSS 2.0 feed.